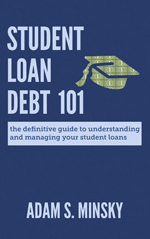 Share the post "4 Reasons to Think Twice About Cosigning a Student Loan"
A lot of my clients over the years have been cosigners, and some of them didn’t fully understand what they were getting into when they agreed to cosign a student loan for their friend or family member. If they had, they could have avoided years of stress and financial trouble. If you’re thinking about cosigning for someone else’s student loan, make sure you understand the potential consequences – before you sign your name on that contract. It’s a mistake to think that as a cosigner, you’re just helping someone else get an education. It’s also wrong to assume that you’re essentially “splitting” the loan with someone else. Both assumptions get people into trouble. Under the terms of most private student loan contracts, cosigners are fully legally responsible for the entire student loan, just as much as the student borrower is. That’s right – even though you’re not the one going to school, as a cosigner you still owe the money. All of it. Because the cosigner is fully legally responsible for the entire student loan, they’re on the hook for payments if the borrower cannot – or will not – pay. It doesn’t matter that the cosigner didn’t get the benefit of the education that the loan paid for. By cosigning that student loan, you agreed to make the payments, and the lender will ask you for money if the borrower isn’t paying. So if you’re thinking about cosigning, make sure you are prepared to take over the payments if it comes to that; you may have no choice. 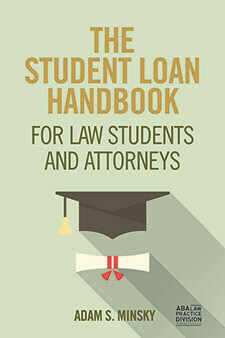 If payments are not made on the student loan as they become due, the lender likely has the right to pursue both the borrower and the cosigner. Late payments will be reported to the credit bureaus, which will damage the cosigner’s credit just as much as the borrower’s. And if the loans go into default, both the borrower and the cosigner could be subjected to collections, a lawsuit in state court, and – depending on state law – potentially even wage garnishments, property liens, or asset seizures. Many people think that if they do agree to cosign, the obligation will just be temporary because they can eventually be released from the loan. Don’t make that assumption. 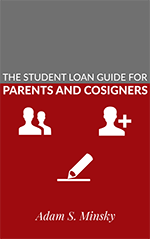 Under the terms of most private student loan contracts, the lender has enormous discretion as to whether to agree to a so-called “cosigner release.” The cosigner often has little say in the matter. There are often stringent requirements that are tough to meet – such as months or years of perfect payments, or excellent credit and finances on the part of the borrower to justify the release – and even then, a cosigner release is not guaranteed. Sometimes the request has to come from the borrower directly – and if the relationship has soured between the borrower and the cosigner, that may leave the cosigner stuck. Think twice before you agree to be a cosigner – even if it’s for your child, your partner, or your best friend. Understand your legal obligations, and make sure you can sustain the monthly payments if it comes to that – and prepare for the possibility that you’ll be on the hook.